Token (RN) series can be specified for all ultra precision electronics designs, as well as a complete selection of MIL-PRF-55182 and GJB244A-2001 quality standards. Production is strictly controlled and follows an extensive set of instructions established for reproducibility. A homogeneous film of metal alloy is deposited on a high grade ceramic body and conditioned to achieve the desired temperature stability. Nickel plated steel terminations are firmly pressed on the metallised rods. A special laser is used to achieve the target value by smoothly cutting in the resistive layer without damaging the ceramics. A further conditioning is applied in order to stabilise the trimming result. After a helical groove has been cut in the resistive layer, tinned connecting wires of electrolytic copper are welded to the end-caps. 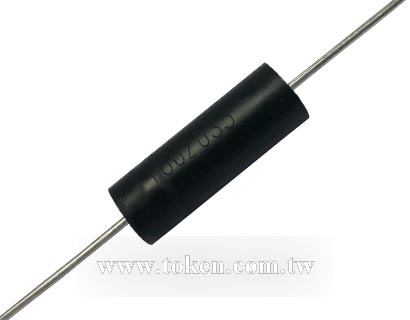 The resistors are moulded into cylinder shape which provides electrical, mechanical, and climatic protection. Products equate Vishay, Ohmite, Caddock, IRC, EBG, Panasonic Precision Devices with more competitive price and fast delivery. Commercial alternatives to military styles are available with higher power ratings. Detailed high precision (RN) specifications, both mechanical and electrical, can be download here Mold Precision Resistors (RN) PDF , or contact our sales representative for more information. Which is made referencing to Chinese National Quality Standard GJB244A-2001 standards, and USA Military/Established Reliability MIL-PRF-55182 in environmental and dimensional requirements. Telecom, Test and measurement, Medical electronics. ± 2.0 % maximum ΔR in 10000hr load life. Military/Established Reliability and stability. Wide resistance ranges from 10Ω to 5MΩ. Controlled temperature coefficient to E ( ±25 ppm/°C). Lead (Pb)-free and RoHS compliant. Very low noise. Precision tight tolerances to B (±0.10%). 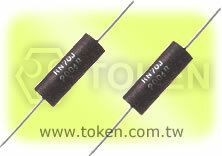 Covers all general type precision resistive products. Temperature Coefficient PPM can be low to ±5PPM/°C, if applications only need operation in narrow precise temperature range within -55°C ~ +175°C.